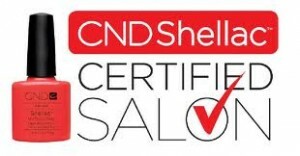 £6.00 (20 mins) (If having a CND treatment and re-application then soak off will be included within the service). Vinylux is a breakthrough polish that endures a week without a base coat. Exposure to natural light secures the Pro-Light Technology to deliver week-long wear. Nails shaped, hard skin removed, cuticles cared for and feet are massaged and exfoliated. A mask is added with heated booties for extra moisture, then a polish of your choice. £32.00 (1 hour) For Shellac nail art (glitter, stamping or dots) add 50p per nail or £5.00 for a full set.